F-sharp Make » Tagged "f-sharp-make" » Rash thoughts about .NET, C#, F# and Dynamics NAV. As many readers already know I’m maintaing the open source projects FAKE and Paket. These projects are used in many companies and open source projects to make continuous integration work on .NET and mono. In this article series I want to highlight some of the moreÂ unsualÂ use cases. Today I want to start and highlight the first 6 amazingÂ projects. 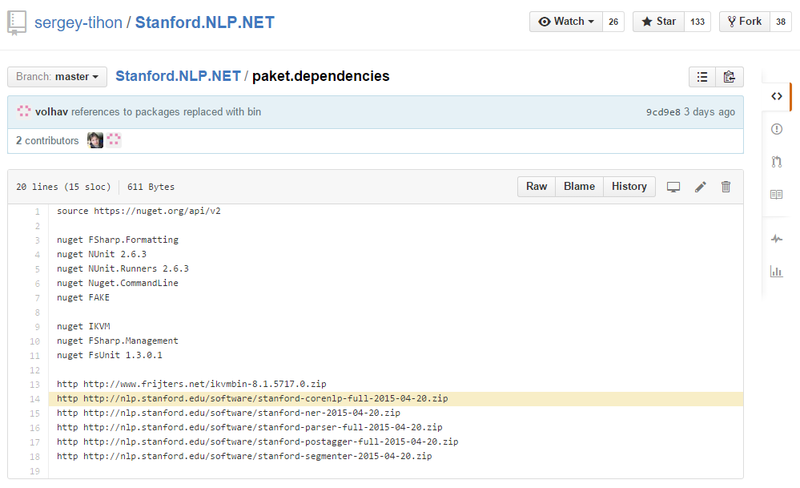 “Stanford.NLP for .NET is a port of Stanford NLP distributions to .NET. This project downloads .jar packages via Paket’s HTTP dependenciesÂ feature,Â recompiles everything to .NET via IKVM.NET in a FAKE build script and republishes it on NuGet. Automatic Java to .NET compilation – how cool is that? Ionide is an Atom plugin written in F#. 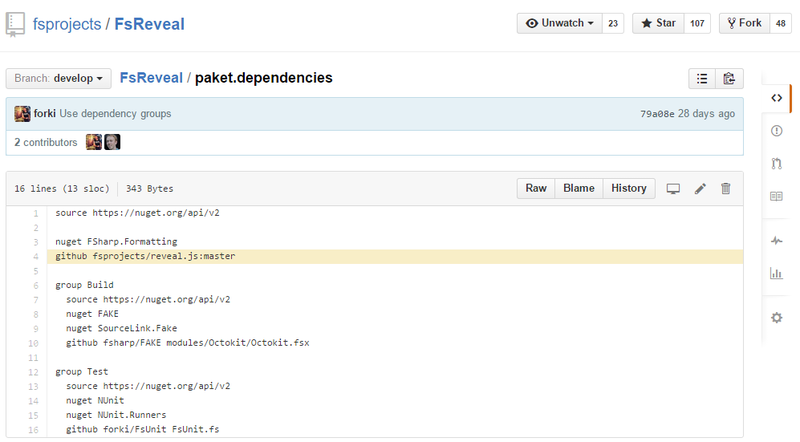 It’s using Paket and FAKE to automate the build and release process. Akka.Net is a big (mainly C#) open source project that uses FAKE and Paket. One interesting observation is that it needs to createÂ different xUnit addins and therefore uses Paket’s groups feature to maintain the xUnit versions. 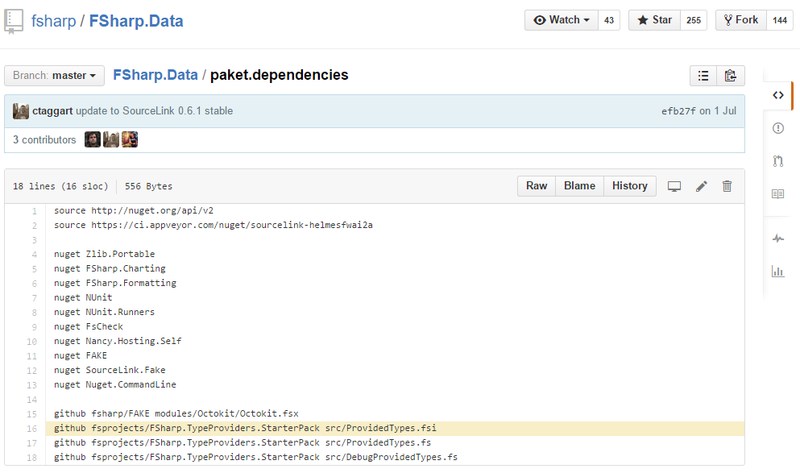 One of the many interesting things in FSharp.Data’s build is that it uses Paket to retrieve theÂ FSharp.TypeProviders.StarterPack. These files need to beÂ included in any F# type provider project and Paket allows you to manage this easily. 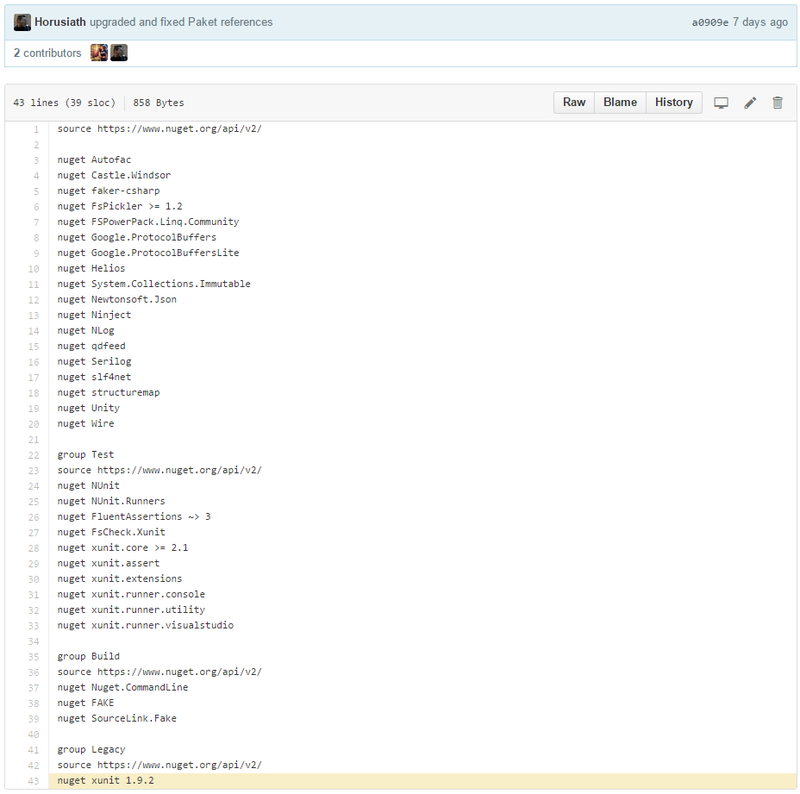 The current version of FAKE contains two tasks for Xamarins xpkg format. These are already used in Daniel Nauckâ€™s Portable.Licensing project (read more about this project). Thank you Daniel for this contribution. After a very interesting talk by Alexander GroÃŸ at the ADC2011 about MSpec I started to play around with it. I really like the concepts and especially the Selenium support. Today I released a new â€œFake â€“ F# Makeâ€ version with initial support for machine.specifications (MSpec) and fixed some NuGet problems incl. support for automatic push to the http://nuget.org/ feed. 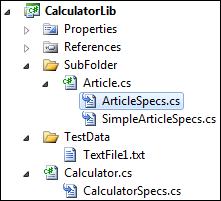 The following sample is taken from the NaturalSpec build and creates a NuGet package. 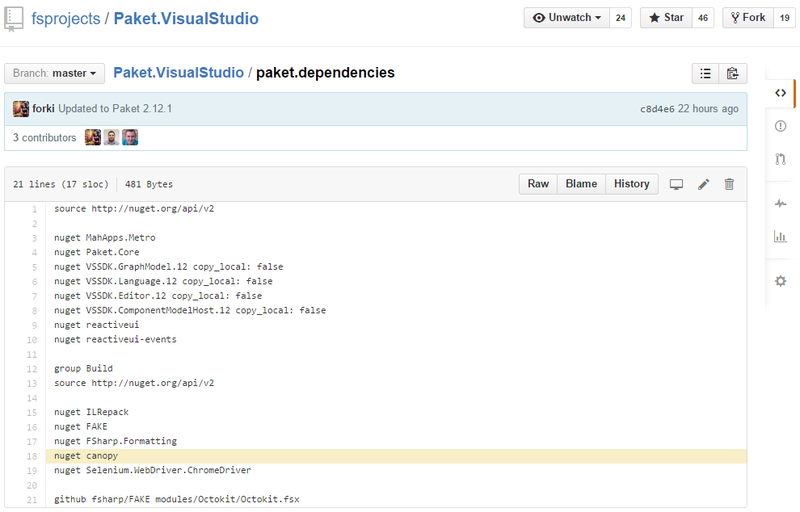 It takes the AccessKey from the build params and pushes the new package to nuget.org. There are still some missing features but you can use them by manually editing the .nuspec file. Running specific targets in "FAKE – F# Make"
Today I released â€œFAKE â€“ F# Makeâ€ version 1.40.5.0. This release fixes some issues with CruiseControl.NET compatibility and improves the MSBuild task. Daniel Nauck created a FAKE task for CC.Net. This task allows a much easier configuration of FAKE. Please download the latest CC.NET build if you want to use it. @Daniel: Thank you very much for helping me on this CruiseControl.NET stuff. I really appreciate this. Generate a temporary solution file and use this for compilation. Analyze the given projects and remove all dependent projects from the list. FAKE 1.40.5.0 implements the second idea. If you have a better idea please contact me. Yesterday I released â€œFAKE â€“ F# Makeâ€ version 1.33.0. This release has lots of small bug fixes and a couple of new features. Git is a distributed revision control system with an emphasis on speed. Git was initially designed and developed by Linus Torvalds for Linux kernel development. Every Git working directory is a full-fledged repository with complete history and full revision tracking capabilities, not dependent on network access or a central server. In the last couple of months I worked on small helper library for controlling Git. This library is now released as part of â€œFAKE â€“ F# Makeâ€. You can find the source code at http://github.com/forki/FAKE/tree/master/src/app/Fake.Git/. What’s a docu? A documentation generator for .Net that isn’t complicated, awkward, or difficult to use. Given an assembly and the XML that’s generated by Visual Studio, docu can produce an entire website of documentation with a single command. Â Â Â Â Â Â Â Â Â Â Â Â  ToolPath = docuPath + "docu.exe"
Since FAKE builds its own documentation with docu I started to add more (and hopefully better) XML doc comments. My plan is to describe more and more of the internal FAKE functions in the next releases. An updated HTML-document (generated via a docu task) can be found at http://www.navision-blog.de/fake/. For Test-driven development (TDD) itâ€™s sometimes nice to have the specifications next to the implementation files since the specs are considered as documentation. By using a tool like VSCommands it is possible to group the implementation with the specs (see also http://gist.github.com/457248). This â€œside by side specificationâ€ makes TDD a lot easier but of course we don’t want to deploy the specification classes and the test data. Â Â Â Â Â  !+ @"src\app\**\*.csproj"
Â Â Â Â Â Â Â Â  |> MSBuildRelease buildDir "Build"
Â Â Â Â Â Â Â Â  |> Log "AppBuild-Output: "
Additional functions for attaching and detaching databases. Copies the files from a cache folder. If the files are not cached or the original files have a different write time the cache will be refreshed. Retrieves the environment variable or a given default. Added a build time report to the build output. XPathReplace and XMLPoke tasks added. Replaces text in an XML file at the location specified by an XPath expression. Today I released a new bugfix release for â€œFAKE â€“ F# Makeâ€. We fixed some path and logging issues and as a new feature we introduced the @@ operator which allows to combine paths.